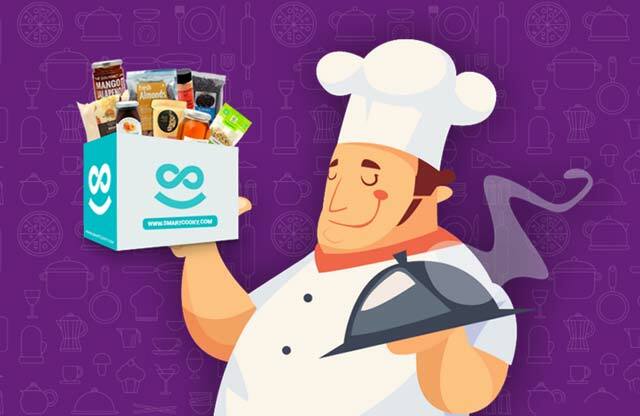 Smartcooky, media group NDTV's yet-to-launch e-commerce marketplace for health foods and personal care products, has received an undisclosed amount in funding from Vandana Luthra, founder of health and wellness firm VLCC Health Care Ltd. The funding came through NDTV's subsidiary SmartCooky Internet Ltd, it said in a statement. Smartcooky will draw on NDTV's current food site, which creates original content in the food and wellness space and claims to get almost 3 million unique visitors a month. "The health and wellness industry is growing rapidly and is very dynamic. Having been in the industry for 26 years, I believe that there is a need for such a platform, which can inform on and deliver quality health and wellness products to consumers and further grow the market," Luthra, who was awarded the Padma Shri in 2013 for her contribution to trade and industry, said. The company is also planning to launch shows under the Smartcooky banner on NDTV's television channels. Smartcooky had raised an undisclosed amount in angel investment at a valuation of $12 million (Rs 80 crore) in December 2015. The angel investors include Rajan Anandan (Google India & South Asia, MD), Pramod Bhasin (former CEO of Genpact), Siddharth Pai (son of former Infosys CFO and chairman of Manipal Global Education Services, Mohandas Pai, who is an angel investor in his own right), and Manvinder Singh Banga (former Unilever Plc board member and currently senior partner with private investor Clayton Dubilier & Rice). NDTV had recently ventured into the wedding planning market with Special Occasion Ltd. The newly floated venture has also raised an undisclosed amount in a funding round led by US-based venture firm CerraCapital Ventures to kick-start operations. NDTV first ventured into the e-commerce space in 2013 with the launch of IndianRoots, an online marketplace for ethnic wear. It had raised $5 million in a Series A round of funding from Mumbai-based KJS Group early last year. At that time NDTV had said the deal was struck at a valuation of $85 million. In September last year, it turned its gadgets news and reviews website to a gadget e-commerce marketplace called Gadgets360, which received funding from several investors. The other property of the company is Fifth Gear Auto, a new auto portal that aims to elicit the attention of those who follow NDTV's coverage of cars and bikes. This again appears to be another move to add digital commerce within its existing auto related content site NDTV Auto. The combined value of IndianRoots, Gadgets360 and Fifth Gear Auto was $165 million in the last funding rounds. New Delhi Television Ltd. Smartcooky Internet Ltd. VLCC Health Care Ltd.